Cooney was adopted from an Indian orphanage by an upstate New York college professor. 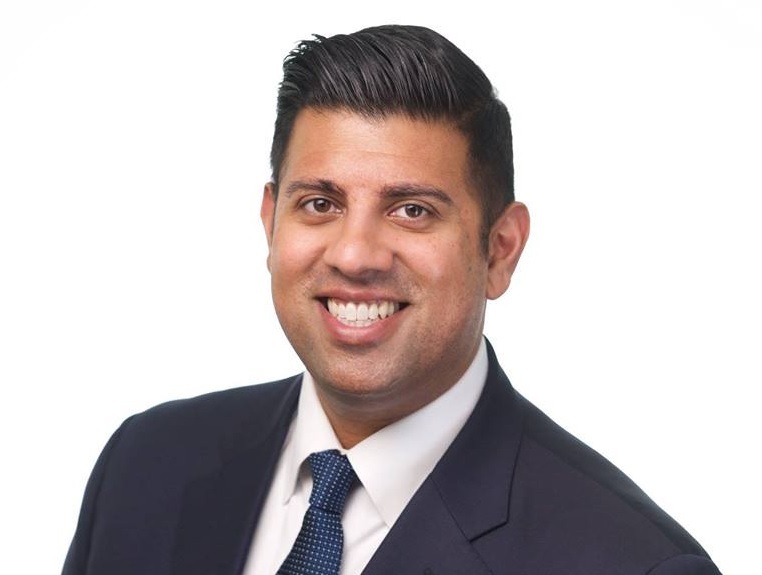 Experienced upstate political operative Jeremy Cooney is one of the two Indian American Democrats running for the New York State Senate this November. The other candidate is Kevin Thomas, who is challenging the NY 6th district incumbent Sen. Kemp Hannon, a New York state lawmaker since January 1977. Like Thomas, Cooney is also taking on an Albany “lifer”: Sen. Joseph Robach, who was first elected to the state assembly in 1991. Cooney’s incredible life story began with his adoption from an Indian orphanage by the late Anne Cooney, who worked as an English professor at Monroe Community College in upstate New York, for more than three decades. Raised as a single mother by Ann Cooney, Jeremy went on to graduate from the liberal arts Hobart and William Smith Colleges in Geneva, NY, with a major in public policy and earn a JD from the Albany Law School. The lawyer and Eagle Scout is no stranger to local and state politics in New York, having served as an aide to a number of officials at all levels. They include serving as Downtown Community Relations official for Gov. Andrew Cuomo (2016-2017), as chief of staff to Rochester Mayor Lovely Warren (2014-2016), and as staff assistant to US Rep. Louise Slaughter, D-NY, (2004-2005). The 56th district includes the County of Monroe and parts of the City of Rochester. Cooney, who was named “Forty Under 40” by the Rochester Business Journal, has served in several leadership positions. While at the Albany Law School, he was a class president. For his other alma mater, Hobart Colleges, he served as a Manager for Campaign Leadership — a fundraising role. He was also appointed to the Young Leaders Congress of New York. I just gave a reply to someone asking about my feelings about the next election. I did not know who Jeremy Cooney was. Thank god I went on the computer and found out. I am definitely voting for him.